Set Items Housing body cap, camera quick shoe, light-shielding plate and two hex wrenches. Related Information (*1) The housing is not equipped with a strobe connector when shipped from the factory. Use (a) Fiber-optic Cable(s) when connecting external strobe(s). Optional Sync Cord 2-pin Connector is required if you wish to use a conventional hardwired Sync cable. Compatible with new Optical YS Converter/C1 for MDX housing which converts the camera’s hot-shoeTTL signal to a light signal. 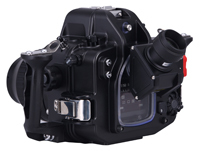 Both TTL and manual strobe modes can be used and controlled from the housing using a Fiber-Optic Cable II. Port lock can now be activated from outside the housing. 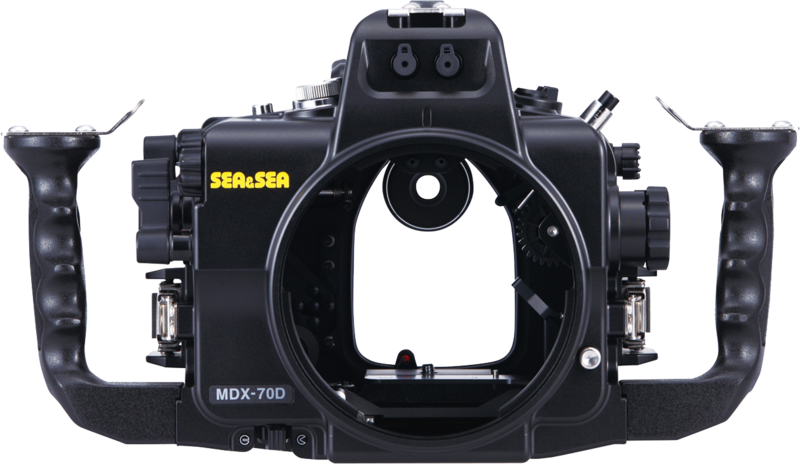 The housing is also equipped with a "lens-lock release" button which allows the lens to be replaced without opening the housing. The port lock can also be activated from inside like previous SEA&SEA housings. The multi selector is located on the very right hand side of the rear case so that it is easily accessible and operated with your hand on the grip. Equipped with two fiber-optic cable sockets. With the camera's built-in flash raised and fiber-optic cables fitted, external strobes can be triggered as "slave units" by the built-in flash. Every detail of the housing is precision machined. The housing is protected by a highly corrosion resistant coating. All edges have been polished carefully for a perfect finish. 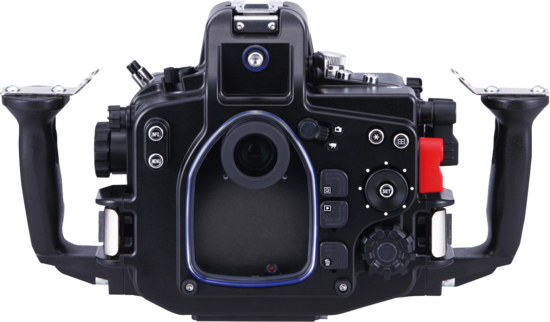 Controls all the Canon EOS 70D essential functions underwater. 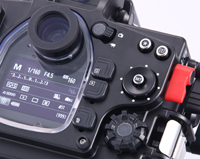 (Depth-of-field preview button and LCD panel illumination button are not operable from the housing). 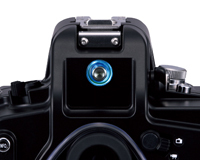 The shutter release lever tension can be adjusted in 2 steps with a spring. The grips have been designed with the travelling diver in mind. They are mounted with threadless fixing to facilitate easy removal, transportation and mounting. The new design also alleviates corrosion build up around the fittings. All fixing are available as spare parts.